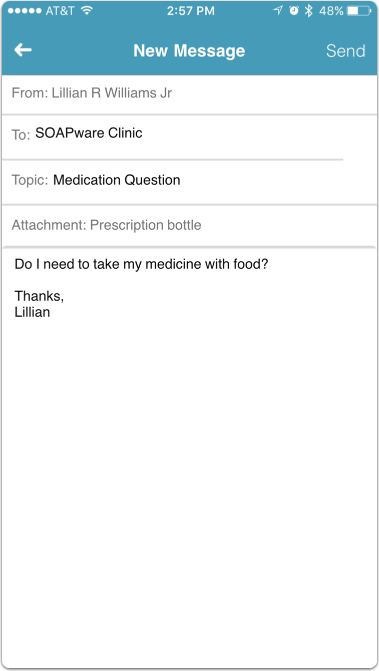 The myHEALTHware app allows patients to submit a medical question to their connected clinic (requires that clinics have activated this feature for patients). 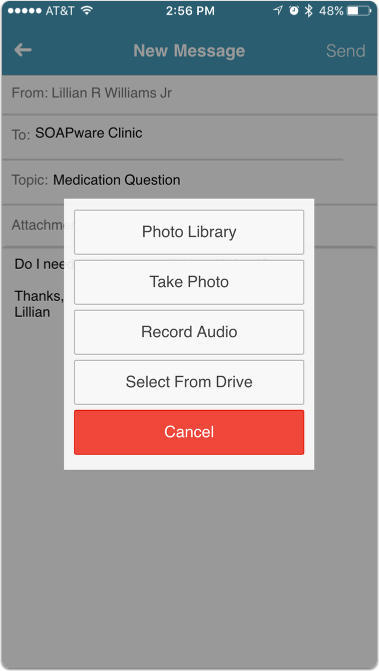 A patient can submit a medical question to the clinic by logging in to the myHEALTHware app and taping on the New Message button. Select Ask A Medical Question. 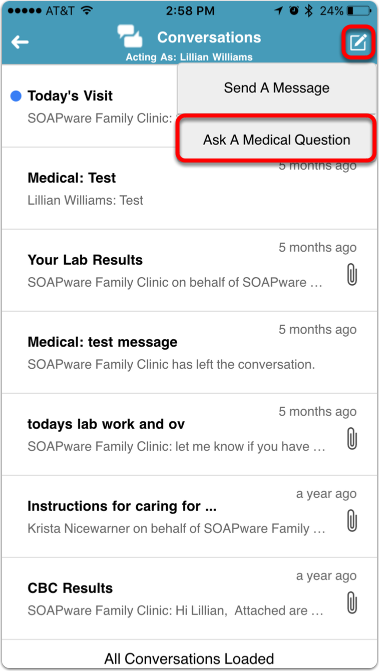 A New Message dialog will appear with the clinic name defaulted as the Send To:. 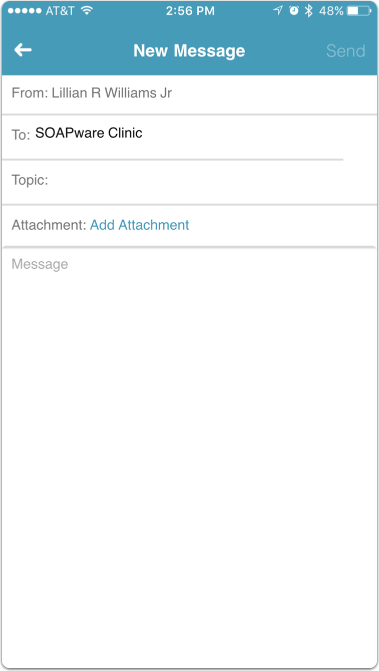 To modify the clinic selected, tap on the To: column, otherwise, continue to enter the Topic and Message. Enter the Topic and Message for the conversation. If you wish to add an attachment to the conversation, click Add Attachment. The medical question will be sent to the clinics conversations inbox for review.